Snocap was known to be searching for a new home for quite some time and it seems they have shopped themselves successfully as Imeem has bought them last month. 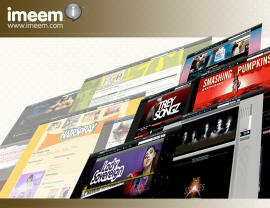 Snocap is digital music wholesaler and Imeem is music streaming site so the synergy seems quite logical here. Terms were not disclosed publicly. It seems Imeme was in desperate need from the Snocap’s technology while Snocap needed a new home, which surely helped the deal happen. Snocap has gone through significant layoffs and was rapidly heading towards major failure. The company’s key person Shawn Fanning was also planning to leave the company and deal with his new creature Rupture. Is Google going to be the winner from the Microsoft-Yahoo deal? Over the past a couple of days all the major media outlets are full with news, analyses, reports, commentaries and researches on the potential deal between Microsoft and Yahoo! trying to figure out the benefits or the potential pitfalls the deal would eventually face. We’ve read a lot and we’d like here to summarize the pluses and minuses of this potential deal. Different cultures of the two companies – there will be the challenge of integrating two very different companies, with clashing cultures and business philosophies. 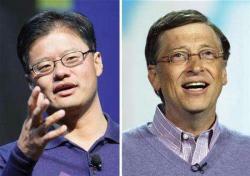 At Microsoft, the operating system has always been priority number one, while Yahoo’s vision is all things Internet. Even combined the new entity is going to have less than the half of the searches Google enjoys. So the deal would do little to nothing to address the fundamental problem faced by both companies: finding a way to effectively compete with Google and its growing dominance of the Web. The combined number of employees would be in the 90,000 range and potential layoffs can be overseen. The reach of Microsoft and Yahoo! combined is going to be bigger than Google’s but unless the new entity figures out how to more effectively monetize its traffic they are not going to make any impact on Google’s advertising business. Google’s AdSense is still paying most to web publishers compared to other advertising networks, which tells us that Google earns more off its traffic and reach than any other ad network out there. Despite Microsoft’s intention to offer significant retention packages to Yahoo’s engineers, key leaders and employees across all disciplines we think Yahoo’s most talented employees will take the money from their suddenly valuable stock options and run. It is clear they aren’t going to get rich working for Microsoft, whose stock has gone up an average of 6.6 percent a year over the last five years. If this deal happen Yahoo’s shareholders can been seen in a better position compared to Microsoft’s. They would finally get a reasonably happy ending to their long nightmare of waiting for Yahoo management to come up with a viable strategy to repel the Google assault. Other than announcing a thousand job cuts this week, Yahoo co-founder and Chief Executive Jerry Yang has given no sign that he has any better ideas for turning around the struggling company than Terry Semel, who resigned in disgrace in June 2007. There are many questions to be addressed; some of them are included below. Live search or Yahoo search? Live mail or Yahoo mail? Live messenger or Yahoo messenger? Live spaces, Yahoo 360 or Facebook (Microsoft owns less than 2% in Facebook)? MSN Dating (Match) or Yahoo personal? Microsoft’s AdCenter or Yahoo’s Panama advertising platform? Live ID or Open ID? None of the above seems to be having any synergies. Most of them are already well established brands while others are taking quite different approaches by using and relying on different technological standards. There is clearly huge dilemma if Microsoft keeps the different brands alive, it will surely confuse customers and reduce synergies. If it kills one or another, it will throw away a lot of expensively built real Web properties. Microsoft and Yahoo would eventually waste a couple of years jumping through antitrust hoops and figuring out how to integrate their companies. During all that time Google will continue to adding more business and consumer Web services and leverage its dominance of search advertising into yet more advertising niches. Google is already aggressively entering into the mobile space, striking deals around the globe to get prominent positioning with certain carriers and promoting an open handset design. The company is even bidding billions of dollars to buy a chunk of U.S. wireless spectrum that it could use to launch its own mobile voice and data service. Under no doubt the biggest advantage oversee by the Microsoft’s people is the Internet traffic/reach the combined entity is going to have – it is clearly going to be much larger than Google’s. This is what Steve Ballmer called the eyeballs and is going to be used to strengthen their advertising strategy. According to HitWise the combined traffic reach of Yahoo! and MSN web properties is going to be 15.6% of the entire Internet traffic in the U.S., compared to only 7.7% for Google’s web properties yet Google still has double the market share in search of both Yahoo and Microsoft combined. Microsoft says it can shave at least $1 billion from operating expenses in a merged company. The combined revenues of the two companies would be about $65B while the net profit is expected to be in the $17.5B range compared to only $4.2B for Google. The companied company would achieve around 32% market share from the US search market. Another advantage is that Yahoo still sports the best consumer Web portal, My Yahoo, with tens of millions of loyal users while Microsoft’s Windows operating system runs nine out of 10 desktop computers on the planet and a considerable portion of the Internet is powered by servers of the company. In theory, Microsoft might integrate the best services from each company, from Yahoo’s Flickr photo sharing to Microsoft’s Office applications, to provide an appealing PC-and-Internet platform for customers. The technical challenges would be enormous, but the payoff could be huge. Today Microsoft has over $300B market capitalization while Yahoo!’s has climbed close to $30B so the combined entity would potentially have a market capitalization twice bigger than Google’s, which is a little more than $175B today. 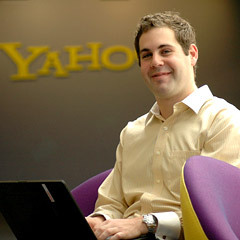 One of the rumor is that a big private equity firm from New York is going to enter the bidding war for Yahoo!. Another potential bidder being rumored on a few blogs is the New York-based Quadrangle Partners. Yahoo’s former president, Dan Rosensweig recently joined the firm to open the Silicon Valley office and Quadrangle also has deep media expertise. Yahoo! is after all more like a major media company with Internet nuance rather than pure technology company like, for example, Google. Other sources are reporting that News Corp is also frantically trying to put together a competing bid, with the help of private equity firms. This makes sense, given News Corp’s previous interest in trading MySpace for a big Yahoo equity stake. News Corp can’t afford to do the whole deal, but it could certainly provide some funding in exchange for some equity. So to conclude, the minuses, obstacles and the disadvantages seem to be more than what the pluses are expected to be. So if ever a deal goes through it is not very clear what the benefits for both Microsoft and Yahoo! would be and if ever there is going to be a winner from this deal Google, ironically, might be the one at the end of the day. When a few days ago we conducted an in-depth research on Web and ran an analysis based on the information collected we came up to the logical conclusion that Yahoo! was seriously undervalued company. Today Microsoft proved us right by offering $44.6B for Yahoo!, which represents a 62% premium on Thursday’s closing price. All major media are reporting on the deal. In our post a few days ago we were speculating that Alibaba lost $13B from its market cap in just one month, yet the company’s market value was close to 50% from what Yahoo!’s value then was (~$26B). Yahoo! is known to own 39% in Alibaba Group. Alibaba Group holds a 75% stake in Alibaba.com, which was worth $17.4 billion. Yahoo owns 39% of Alibaba Group, which puts the value of their share at $6.8 billion. Yahoo! has also bought around 1.2% stake in Alibaba.com by paying $100M so the direct-owned 1.2% stake was worth about $278 million. That puts the total value of Yahoo’s interest in Alibaba.com at north of $7 billion. That was then about 16.7% of Yahoo’s then $42 billion valuation. The big question then was whether Alibaba.com is overvalued or Yahoo! is undervalued? One should take into serious consideration the fact that Yahoo! is making more than $6B in revenues per year while Alibaba.com is having, as far as we know, no more than $150M in annual revenues. A quick online research revelead that Alibaba had GAAP Revenue of around $46.3M for 2004 while the company’s revenue in the first half of 2006 was about $100 million (presumingly $200M for the entire 2006). For the first 6 months of 2007 Alibaba had revenue of RMB957.7M (~$132MM) (presuming $260M for the entire 2007). The numbers showed big difference, no? Anyway, today we are already pretty sure we were right the other day and it is obvious today that Yahoo! was seriously undervalued and was a good buy. Microsoft Corp. made an unsolicited $44.6 billion cash and stock bid for Yahoo on Friday, a deal which could shake up the competitive and lucrative market for Internet search. The deal would pay Yahoo shareholders $31 a share, which represents a 62% premium from where Yahoo stock closed on Thursday. 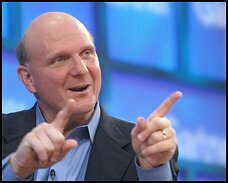 Steve Ballmer, Microsoft’s chief executive, called the move the “next major milestone” for the software giant. “We are very, very confident this is the right path for Microsoft and for Yahoo,” he said. Ballmer, saying that Microsoft has been in “off and on” talks with Yahoo for 18 months, said he called Yahoo CEO Jerry Yang Thursday night to tell him about the bid. Microsoft made the bid early Friday. In a statement, the company said the offer allows Yahoo shareholders to elect to receive cash or a fixed number of shares of Microsoft common stock, with the software giant’s offer consisting of one-half cash and one-half Microsoft common stock. Michael Arrington from Techcrunch has also predicted a couple of days ago in his appearance on Fox Business that Yahoo could face a takeover by Microsoft as part of an ad play, and he was right too. Two other events hit Yahoo over the past week on Thursday, former Yahoo Chief Terry Semel, who opposed an earlier approach made by Microsoft last year, resigned from the Yahoo’s board. In another announcement Yahoo said it would lay off 1,000 employees by mid-February. Yahoo also reported lower fourth-quarter earnings that still beat Wall Street’s now modest expectations for the firm, but it gave a 2008 revenue forecast that disappointed analysts. Microsoft also said it projects the online advertising market to grow from over $40 billion in 2007 to nearly $80 billion by 2010 and in other news we have read advertising is the key element from the deal as proposed. Regardless Google’s recent problems and the fact they have lost 24% of its market capitalization since November 2007, the company is still leader on the online advertising market and a potential deal between Microsoft and Yahoo! would for sure strengthen their position in the battle for the online leadership with Google. The investors will no doubt be pressing the line that the combined bulk of the Yahoo! flagship website and MSN, Microsoft’s web division, will create – in terms of advertising inventory at least – a counter to Google’s dominance. Google already controls nearly 60 percent of the U.S. search market, and has been widening its lead, despite concerted efforts by both second-place Yahoo and third-place Microsoft. By combining, Microsoft and Yahoo would have a 33 percent share of the U.S. search market, according to the latest data from comScore Media Metrix. But the idea is it eventually surge ahead of Google in terms of the eyeballs attracted to the combined web sites. The combined internet properties will have reach of at least 700M/800M people online per month but possible overlap of the real uniques can be expected. The thing is, Microsoft and Yahoo! have both known this for years and have been falling over themselves to create – or buy – their own advertising technologies that can compete with Google’s. That’s why Microsoft bought aQuantive and Yahoo! has spent furiously on the development of Panama, a rival new advertising platform aside buying a number of other advertising companies like RightMedia and BlueLithium. It’s also part of the reason it’s hard to see any synergies between Microsoft and Yahoo! with their rival proprietary technologies and bolt-on acquisitions. Doubts also abound on whether the two companies would do well together in terms of culture. Other experts have expressed concerns that Microsoft’s audacious bid for Yahoo reveals the extent to which the Seattle giant has failed to adapt to the Internet age. On the other side when Yahoo! was created by Jerry Yang and David Filo in 1994, Microsoft was already 21 years old and the largest software developer in the world and indeed Yang by that time was known to go against Microsoft’s technologies and clearly disliking them. Other questions that have popped up publicly are as follows, including but not limited to. Live spaces, Yahoo 360 or Facebook? Below is enclosed the entire email as it was sent from Microsoft’s Steven Ballmer to Yahoo’s board of directors and to Jerry Yang. It somehow made the public and appeared on multiple news sources and blogs. Big question here is will the anti trust authorities in US and the EU’s ones allow this to happen. Microsoft has previously shown, not only once, an interest in Yahoo, with reports in May 2007 saying that Microsoft had approached Yahoo about a friendly takeover, rumored to have offered $50B by that time. Some other sources go even further down to offers dated from 2006, according to the CNet article. Mediapost.com has some perspective on the deal from the point of view of ads and eyeballs. Such an acquisition, which would be Microsoft’s largest by far — it bought aQuantive last year for $6 billion — would, as we mention above, need approval by US and EU authorities. A European Commission spokesman declined to comment to Reuters. There’s also a conference call at 8:30am EST where more details will be publicly reveled. Kenshoo, a search engine marketing firm, has received an undisclosed amount of funding from Sequoia Capital. The end-to-end search marketing solution aimed at advertisers and ad agencies operates on an automated technology for advertising campaigns, and a core feature of the company’s suite of offerings relies on the longtail keyword expansion. It is an exclusive search formula using patented multilingual keyword expansion, automatically identifies thousands of related keywords from real user search terms with no need for manpower and hours of effort. Updates are provided on a constant basis on the campaign ensuring updated information on the exact keywords. Those advertisers that are savvy into it run up against the mind numbing tasks to entering data over and over again so they can run side-by-sides and constantly improve their dollar efficiency, and changes based on one cent’s move in either direction can sometimes mean the difference between a profitable ad campaign and one that ends up losing tons of money. So it seems there is a growing need for automated tools in regards to online advertising and marketing, especially with the growing number of ways in which campaigns can be distributed across the web. Their flagship product is called KENSHOO SEARCH(tm) and provides automated management for campaigns across multiple search engine platforms such as Google, Yahoo and MSN. KENSHOO SEARCH(tm) is an end-to-end SEM platform, which automates the process of building and optimizing cross channel search campaigns. Kenshoo’s exclusive search formula guarantees every search engine marketing campaign a long tail. By using patented multilingual keyword expansion, KENSHOO SEARCH(tm) automatically identifies thousands of related keywords from real user search terms- with no need for manpower and hours of effort. Website content perpetually shifts as new and improved products reach the cyber-shelves. The need for updating multiple campaigns is vital in order to keep up with this ever-changing environment. With the unique ability to automatically update itself as web content changes, KENSHOO SEARCH(tm) enables the client high ROI SEM campaigns. By staying in tune with this constantly changing environment, KENSHOO SEARCH(tm) seamlessly index a site and upload the exact model/brands or other keywords and data together with the deep link URL to the search engines. This enables the upload of the merchant’s products onto the Search engines as well as updating it as the site changes. The added bonus is the low cost per click, high CTR, high conversion rates and maximized ROI that result from the highly relevant landing page. Featuring an easy-to-use and configurable Bid Management solution, KENSHOO SEARCH ™ allows your bids to be flexible, applying its’ logic to all major search engines, it even allows you to create your own bid policy. Whether your products require maximum exposure or a positive ROI on any level, KENSHOO SEARCH(tm) follows campaign behavior in real time, detecting changes and reacting to the competition, insuring high ROI on your SEM campaigns. KENSHOO SEARCH(tm) offers the invaluable asset of identifying click fraud in real time. With the ability to manage multiple campaigns all at once, KENSHOO SEARCH(tm) reports the detection of Click Fraud immediately, protecting advertisers from over clicking, and allowing clients to obtain a refund. In addition, KENSHOO SEARCH(tm) has ability to pause campaigns when sites malfunction. Stay on track with comprehensive reporting of your campaigns. KENSHOO SEARCH(tm) understands the importance when it comes to reporting. With Kenshoo search, in-depth reports are created that analyze traffic from different networks, displaying click distribution and ROI geographically, daily, and hourly, to take your campaigns to the highest level of success. Kenshoo’s service enables advertisers and agencies to reach high volumes and optimize campaigns. To utilize their services you simply give them your URL, and a designated account manager will assist you wit the process. They work hard to understand your targets and goals, analyze your website, assess your campaign, and optimize it to suit your individual needs. The company is based in Israel. In August 2007, Kenshoo began applying its search engine marketing analytics on behalf of its first large client, AOL-owned IM company ICQ, also based in Israel. It also works with agencies such as McCann-Erickson and AlthogetherDigital. A representative for the company said one-year-old Kenshoo is focused on bringing its business to the UK sometime early next year. Once it’s up and running in Europe, Kenshoo then plans to build a U.S. presence. Sequoia Capital is the Google backer and it is coming as no surprise they are funding a company that is helping in particular users and customers that are spending their ad money on Google. Although Moritz sat on the evaluating committee, he is not the investing partner from Sequoia. Yuval Baharav, a partner in Sequoia’s Israeli office, is the one who invested and will take a board seat. This is Kenshoo’s first venture round. Terms were not disclosed, although one report in an Israeli paper puts it at a few million dollars. Previously, the startup raised about one million dollars from angel investors, and has been funding itself from operations. Since 1972, Sequoia Capital has provided startup venture capital for very smart people who want to turn ideas into companies. As the “Entrepreneurs Behind the Entrepreneurs,” Sequoia Capital’s Partners have worked with innovators such as Sandy Lerner and Len Bozack of Cisco Systems, Jerry Yang and David Filo of Yahoo!, Gaurav Garg of Redback Networks, Larry Page and Sergey Brin of Google, Dan Warmenhoven of Network Appliance, T.J. Rodgers of Cypress Semiconductor, Lou Tomasetta of Vitesse Semiconductor, Steve Jobs of Apple Computer and Larry Ellison of Oracle. The companies organized by Sequoia Capital now account for about 12% of the value of NASDAQ. Kenshoo is a provider of end-to-end search marketing automated technology for advertisers and agencies worldwide. The company’s flagship product KENSHOO SEARCH(tm) provides automated Quality Management for cross- platform search campaigns. Kenshoo’s unique technology and approach enables advertisers and agencies worldwide to reach high volumes, optimize campaigns and to boost ROI. Kenshoo is an innovator in Search Engine Marketing with extensive industry knowledge and a dynamic approach. Kenshoo’s strength is in developing SEM technology to increase ROI on search campaigns. Kenshoo’s flagship product, KENSHOO SEARCH(tm) is an end-to-end SEM platform, which automates the process of building and optimizing cross channel search campaigns. KENSHOO SEARCH?utilizes Quality Management, the company’s unique approach to search marketing that automates much of the labor intensive search marketing operations. As a Google Qualified Company, a Yahoo! Ambassador and Microsoft adExcellence, Kenshoo provides its licensed SEM platform and services to publishers, agencies, blue-chip advertisers, and affiliate marketers world wide. Yoav Izhar-Prato, CEO & Co-Founder- As a founder of several start-ups around the globe and former manager of ECI Thailand, Mr. Izhar-Prato brings over ten years of business management to Kenshoo. Mr. Izhar-Prato carries an Executive B.A., Business management from Ruppin College. Alon Sheafer, VP Marketing & Co-Founder- Mr. Sheafer brings over ten years of internet experience to Kenshoo. Alon has a strong Technological background combined with sales and marketing experience. Formerly founder and CEO of Bazman, a price comparison website. Mr. Sheafer holds a B.Sc in Computer Science from the Academic College of Tel-Aviv Jaffa. Nir Cohen, CTO & CO-Founder- As former founder and CTO of Bazman, a price comparison website, Mr. Cohen carries years of experience in leading design and development teams for companies such as Demantra and Imperva. Mr. Cohen holds a B.Sc in Physics & Computer science from Ben Gurion University, Israel. Andrey Shirben, Head of Campaigns- A former VP in marketing with Storewiz Ltd, Mr. Shirben brings a history of technology experience to Kenshoo. As Head of Campaigns, Mr. Shirben’s background lies in business management and computer science with a BA in Management & Computer science from Open University in Israel. Udi Broyer, CFO & COO- Mr. Broyer brings over ten years of Financial and operational experience to Kenshoo. Mr. Broyer previously served as the Director of Finance of Metacafe a leading UGC Video web site. He held various executive financial positions such as financial consultants for JVP a Venture Capital firm and VP of Finance at Fundtech. Mr. Broyer is a CPA and served as a Senior Audit Manager in the high-tech group at “Ernst & Young” Israel. Mr. Broyer holds a B.A in Accounting and Economics at the Hebrew University in Jerusalem, Israel. SEM (Search Engine Marketing) is the younger brother of SEO (Search Engine Optimization). In general who fails to perform well on the SEO scene is forced later to rely on the SEM. SEO promises organic results and traffic while SEM does that for paid campaigns. On the other hand we think there are thousands of large-scale corporations and millions of small ones that have little to no ideas on how to develop white-hat SEO practices for their web based businesses and are in one way or another going to rely and depend on SEM and companies like Kenshoo for instance. Otherwise the SEM market is very crowded and the environment is extremely competitive; there are literally thousands of small and mid-level SEM firms in the sector, yet having Sequoia on your side might be one step in the right direction for Kenshoo. I remember one firm in particular called Fathom Online. Fathom Online received $6 million in financing in its first round of venture funding a few years ago. The financing came from Constellation Ventures and private investors. As part of the funding, Constellation managing directors Virginia Turezyn and Dennis Miller have joined Fathom’s board of directors by that time. What we know Former Ask Jeeves executives Chris Churchill and Chris Raniere founded the San Francisco-based search engine marekting firm in 2002. Fathom also helps clients design and run paid search campaigns as clients include Hilton, Covad and Microsoft..